A few years ago for Christmas I got a jewelry holder from one of my daughters. I was excited for a solution to my jewelry mess! 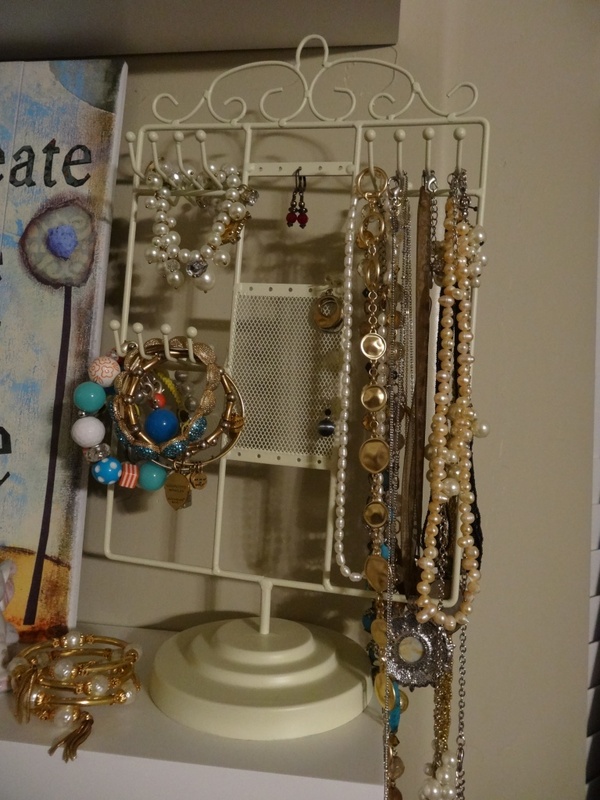 While it turned out to be a good solution for necklaces and bracelets (and I love how pretty they look hanging on the hooks), it did not turn out to be a great solution for earrings. It was a pain to turn the whole thing around to remove the back of the earring you wanted to wear while trying to figure out if you had the correct back or not. Eventually the hassle of removing them and returning them to the jewelry holder was not worth the effort. 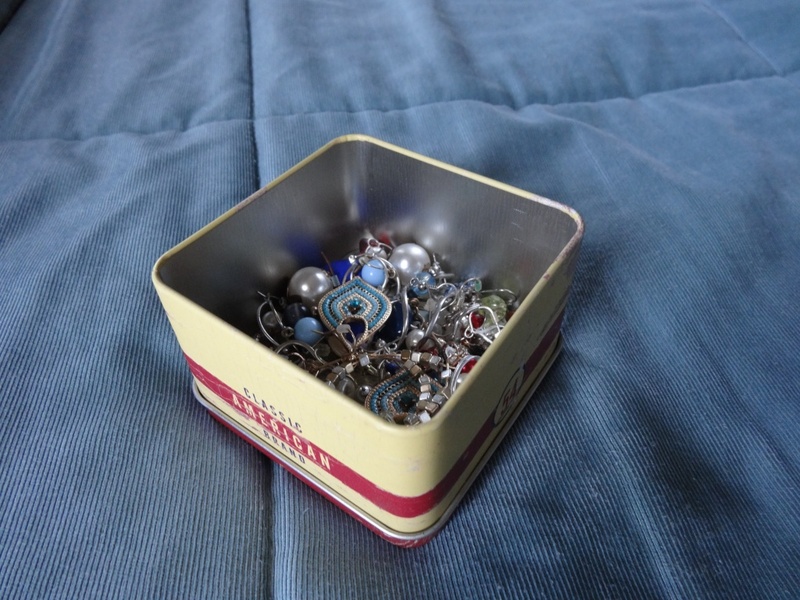 They would end up being left on the corner of the dresser or in a bathroom drawer. Eventually they were consolidated into a small tin (with the exception of the few pairs I never wore which are still hanging on the jewelry holder). As you can imagine by looking at this picture, finding a matching pair of earrings became even more difficult…. Then I came across this stackable jewelry holder at The Container Store. This has been the perfect solution for me! I can quickly see what earrings I have, they are stored with their match, and it is visually appealing because it is organized! 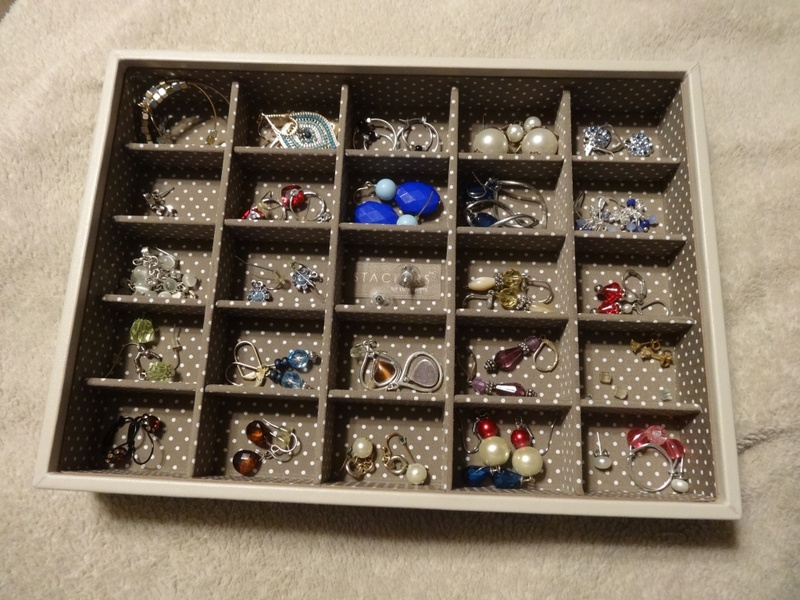 If you are frustrated with your earring storage, head to The Container Store to find the jewelry organizer that fits your needs!